Yashica Made A Digital Camera That Uses Fake Film Cartridges To Feel Retro | OhGizmo! By Randy Donack on 10/11/17 • Leave a comment! 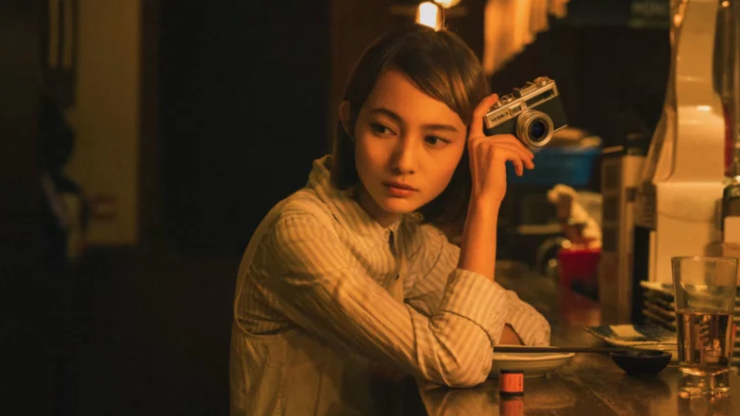 It’s been well over a decade since Yashica made their last camera and they’re back with the Y35, a camera that is trying to win over modern analogue camera-lovers. At the heart of the Y35 is a system that Yashica is calling digiFilm. It’s a small cartridge that resembles a film cannister that allows you to shoot in widely differing modes similar to using different types of film. By swapping out the different digiFilm cartridges you can achieve different looks, such as high ISO, low ISO, black and white, and even square photos that are great for Instagram. And the camera is still digital, so sharing your photos is much easier than using an actual film camera. Plus, there’s something nice about the predetermined settings of the cartridges, just pick one that may best fit your shot and start shooting, no messing around with settings. It’s a neat little idea, letting you feel the history of photography without too much burden. It even makes you pull a lever to advance the film despite being totally unnecessary, something which makes you appreciate each great shot you manage to get. The camera has a 35mm f2.8 aperture lens as well as a built in viewfinder. And while the specs are nothing special, boasting a 14 Megapixel 1/3.2-inch CMOS sensor, it comes in at about $150 including 4 different digiFilms cartridges and that’s really not too much for a fun throwback digital camera.